Lansdowne’s Kasang Regency – a rare retreat for the seekers of peace, pristine beauty and pleasure in the Pauri-Garhwal region of Uttarakhand. 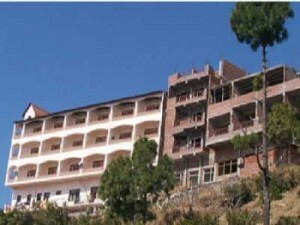 The 30 rooms resort having 18 studio-apartments and 12 rooms and a dormitory is, the biggest in the magnificent hills of Lansdowne, to truly reinforce the love for nature. The resort promises to fulfill all basic and recreational needs of tourists and nature lovers. The resort is a perfect example of space maximization for comfort and sight-seeing. As one settles downs in one of the 30 rooms of the Kasang Regency Hill Resort, one realizes the meticulous planning that has gone into developing this unique resort. All the rooms of Kasang Regency have been designed in such a way that their balconies give a beautiful 180 degrees view of the hills. From our rooms, the breathtaking beauty of the sunrise and the sunset will never be lost on the occupants, even if they are not out trekking at that time of the day. Look a little further from your balcony, and the mesmerizing Jim Corbett national park will be visible in all its glory. Kitchenettes have been provided in the 18 Studio Apartments of the resort which will be operational by 15th of May 2010.Needless to say, the Kitchenettes will give an opportunity to families who prefer home-cooking even on outings. One can prepare one’s meals and beverages all 24 hours, in absolute privacy. For others who prefer to eat out, Regency’s restaurant is always there. 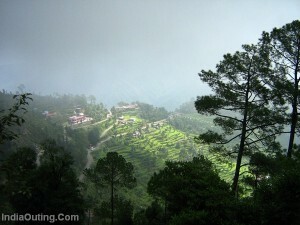 Lansdowne is the nearest hill station from Delhi just 250 kms , 95 km from Haridwar and 150 km from Dehradun. The Road route from Delhi has been given in the map. Lansdowne is also linked by a motorable road to almost all the important cities in Uttarakhand. For our guests who wish to arrive by air, the nearest airstrip is 140 km away at Jolly Grant, Dehradun. Private cabs will take nearly two and a half hours to reach destination Lansdowne. Kasang Regency has Studio Apartments that you always longed for on an outdoor excursion. We have Studio Apartments that approximate a miniature house boasting of all amenities. We have built studio apartments that secure our guests from all outside worries. Right from the moment your luggage is brought in, to the moment you choose to check out, our studio apartments will perfectly fit all your requirements, and fulfill all your expectations. All 18 studio apartments (out of 30) which will be operational from 15th May ,2010 are armed with Kitchenettes so that Home cooked meals will make the experience even more special for some of our guests. All studio apartments at Kasang Regency will have Dining tables and double beds, carved with exquisite wood with modern designing. At Kasang Regency, we are well aware that menu plays a big role in deciding how memorable the trip had been. And at our restaurant presently with a seating capacity of 24 which is being expanded to seat 50 by November, we are geared to deliver precisely that. Specialists Chefs for different cuisines will ensure a delightful and wholesome experience that you will never forget. All demands will be catered to. Be it Rajma Chawal or Shahi Paneer from North India, mouth watering Masala dosa or Idli from the South, haka noodles from China,Pasta from Italy– our expert chefs will be geared to provide all conceivable dishes. Specialists in vegetarian, and equally adept in preparing non-vegetarian delights, that is the kind of chefs we have hired to serve you. Hygiene is our biggest obsession. Neat and Clean rooms, Neat and Clean surroundings, and a Neat and Clean kitchen is our USP, and something Kasang Regency will never compromise on. # Child below 5 yrs complimentary. # Extra charges for children from 5-12yrs (For Packages) Rs 600/Day on MAP & Rs 800/Day on AP. # Extra charges for adult (For Packages) Rs 800/Day on MAP & Rs 1000/Day on AP. # ABOVE RATES ARE NOT VALID DURING LONG WEEKENDS & FESTIVALS. If you have not decided yet or wants to customize tour itinerary or hotels listed above in "3 Day Lansdowne Kasang Regency Hill Resort Package from Travel Masti Rs.6500/-", then we can change the travel itinerary and make a personalized, tailor-made holiday package, especially for you. We can modify this travel package as per your itinerary, budget, duration and the tourist places you would like to visit, including transportation and airfare should be included or not. Please fill the form below to contact us.